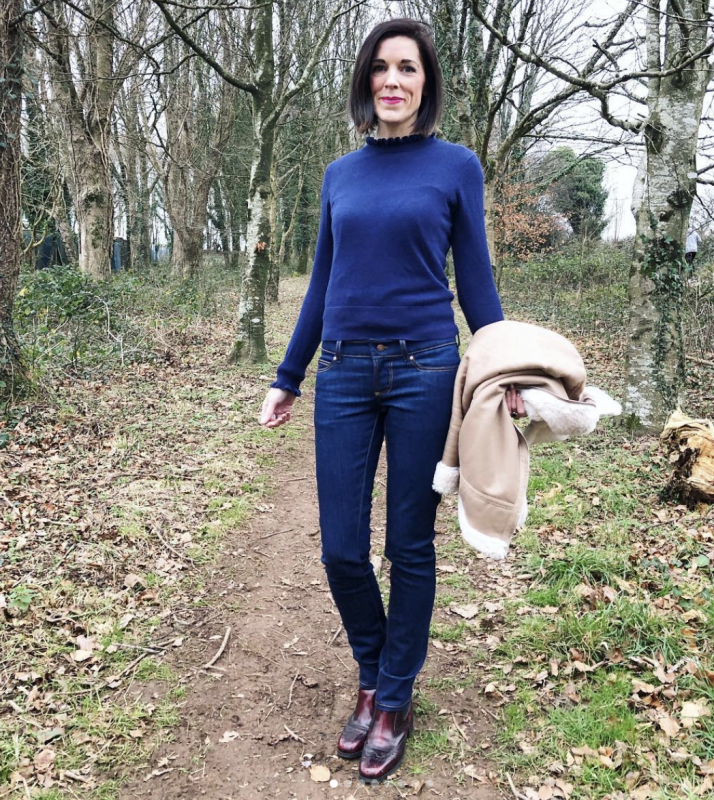 This month, excitingly we relaunched our #MySewisfaction monthly makers competition and we’re super excited to announce our first winner – the amazing Emma from @TheZipperfoot. We’re so inspired by every Sewists story and so every month, our winner will be interviewed exclusively on the blog. 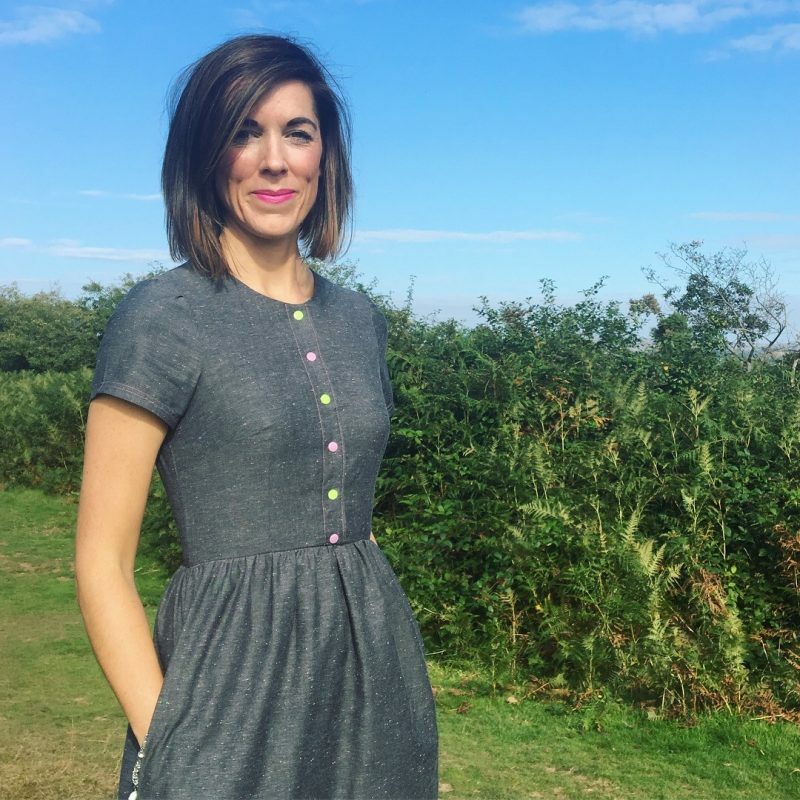 We chatted with Emma about all things sewing – read on to find out more. I’m Emma, 40 this year ***sobs***, I work in Occupational Health for the railway by day and have done so for 21 years in October. I am a single Mum to Jenson who is 9 in June. He is at the centre of everything I do and the reason I’ll never stop pushing to better myself. We enjoy exploring Dartmoor, we live in Devon so there’s plenty to explore! We also enjoy eating out, generally behaving like fools and having loads of fun! I started sewing in March 2018. I found myself sitting in front of the TV each night after Jenson had gone to bed and it was becoming mind-numbing – just waiting for life to pass so the next day could begin. I have always been crafty and my Mum sews loads so I thought I’d give it a try! Initially I bought a cheap basic machine (now upgraded!) and started following Debbie Shore You Tube tutorials, I made totes and little make up bags. At the same time I set up my Instagram page @thezipperfoot and documented my journey so to speak. Instagram quickly opened a community of Sewists that I had no idea existed! I made some friends and learned that Tilly and The Buttons would be a great way to get into dressmaking – so, I bought Bettine. With help from my Mum I got my first make under my belt and I was addicted. Since then I have made countless patterns, using all sorts of fabrics. I am addicted and happily so! My evenings are now filled with conversations with women I’ve met on Instagram who share my new found passion or sat at my machine happily crafting the next item! 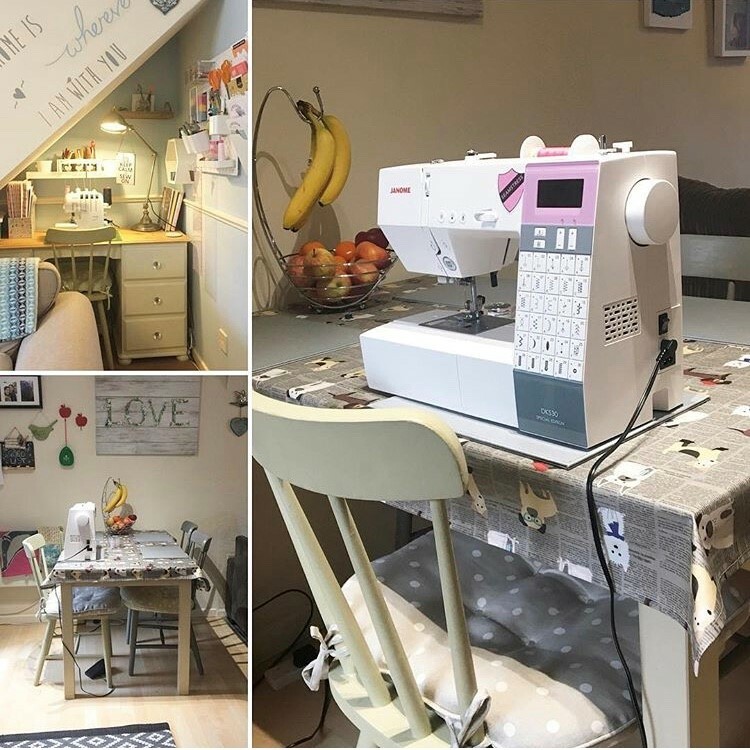 Where do you do your sewing? I live in a very modest two bed in Devon, the beauty is outside the house and whilst the house itself is filled with love and happy memories….there is no space! I am often asked how I manage and I always answer with the same response – where there is a will there is a way. All of my patterns are cut on the carpet in my lounge, my sewing is done at my kitchen table and my overlocking is done under the stairs! Sometimes you even have to be creative with what means you have to be able to make a dream come true – there is always a way. What’s your proudest ever make? I have made many garments across this last year all of which I’m proud of but I guess my proudest make has to be my Avid Seamstress Day Dress in Robert Kaufman Neon Neppy (I’ve made a few!) The reason this is my proudest make is it is probably the first dress I took my time over and allowed the excitement of making to lay dorment! I made a toile and found that I needed to adjust the fit, so I did that and ended up with just a wonderful dress. It had a great response on Instagram as well which, whilst unimportant, really gave me confidence in what I was doing. I remember thinking for the first time – ‘I’m good at sewing’. That self belief is so important, you need it for progression, without it, I certainly wouldn’t have had the confidence to take on jeans!!! Sewing is so much more than sewing – it’s relaxation, achievement, pride, happiness….it’s special. What next on your list? So, what’s next! In the immediate future I have Februarys one fabric two ways to make up with Carrie. We share a page on Instagram @devonandderby for these fun little sews! Then, the big one! I have The Dressmakers Ball to think about. This will be my next big make and for so many others as well. I’m looking forward to getting started and creating something that at the moment only exists within the creative pathways of my brain!!!! A huge thank you to all at Sewisfaction for asking me to write this blog and also for my lovely prize. I can’t wait to go fabric shopping!! Such a lovely read Emma! You’ve achieved so much and I totally understand and can relate to your motivations for sewing!